Ashwagandha is one of the most popular Ayurvedic herbs. The word ‘Ashwa’ means horse and ‘gandha’ means smell. It collectively symbolises that the herb has the potential to impart the stamina and strength of a stallion. Ashwagandha is a small woody plant and its roots have been used for centuries as a natural Ayurvedic remedy to treat various ailments. The roots of the plant have a very unique aroma which can be described as horse-like smell. 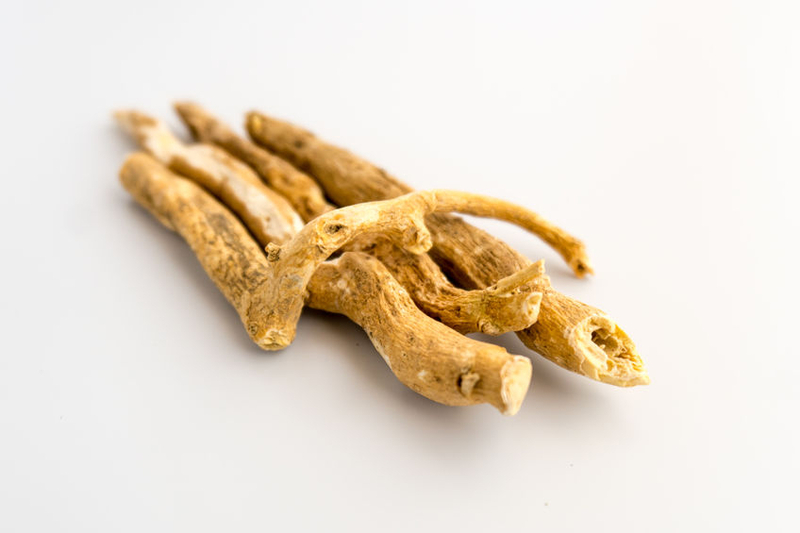 Ashwagandha is often called ‘Indian ginseng’. Till date, several studies have shown promising health benefits of this magical herb. Classified as an adaptogen, an agent that helps the body resist all kinds of stressors, physical and emotional, Ashwagandha can help improve your health and quality of life. 1. Reduces anxiety and calms mind: Ashwagandha has shown to have a calming effect and, thus, helps in relieving symptoms of anxiety or anxiety-related disorders. The herb helps reduce nervousness, tension, anxiety, depression, and mild to moderate mood swings often caused by stress. 2. Helps reduce blood sugar levels: Ashwagandha helps to control blood sugar levels. It is found that the herb increases insulin secretion and insulin sensitivity and thus lowers blood sugar levels in people with and without diabetes. 3. Helps improve brain function: Studies have shown that Ashwagandha supplements may improve brain function, memory, and the ability to concentrate. The herb promotes antioxidant activity that protects nerve cells from harmful free radicals. Ashwagandha may also help to slow down the deterioration of brain cells in people with dementia and Alzheimer’s disease. 4. Helps manage asthma naturally: Known for its anti-inflammatory properties, Ashwagandha may help regulate immune system response that triggers asthma attacks. The herb relaxes muscles in the airways and, thus, breathing in asthmatic individuals. Ashwagandha may help reduce oxidative stress and inflammation and may be helpful for managing arthritis symptoms. 5. Helps to treat insomnia: Intoday’s fast-paced life, a good night’s sleep has become a luxury as many are dealing with some form of sleeping disorder. Work-related anxiety, out-of-whack body clock and mobile phones, etc. disrupt the quality of sleep we get. If you are suffering from sleep disorder, then Ashwagandha can help as the herb is known to induce sound sleep. Researchers have found an active compound in Ashwagandha that reduces cortisol which contributes to insomnia, high blood pressure, and depression. 6. May increase muscle mass and strength: Ashwagandha may improve muscle mass and increase strength. Being a powerful adaptogen, Ashwagandha helps heal the damage caused to the body during the workout and strengthens the body. 7. Known for increasing virility in men: There’s growing evidence in modern science that Ashwagandha helps increase testosterone levels in men and has a positive impact on their reproductive health. Known as a powerful adaptogen, it helps keep physical and emotional stressors, which often cause a drop in sperm count, at bay and in general betters one’s physical performance and endurance. Ashwagandha is being commonly used in treatment for loss of libido and even erectile dysfunction.